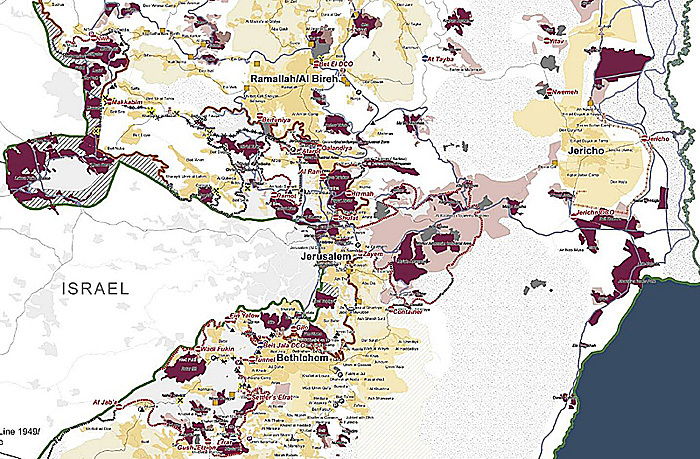 Israeli settlements continue to expand and grow. Those who live there can’t imagine anything else; those who don’t can’t fathom why someone would. Yael Simckes, a 51 year-old inhabitant of Elazar, a Gush Etzion settlement, falls into the former category. In this exclusive Jewish Post interview, Simckes opens up about her life on the settlement. A mother of four, Simckes has lived in Elazar for 10 years. Her children go to school on bulletproof buses, which protect them from drive-by shootings. The armored buses shield their passengers from terrorists who frequently let loose on wild shooting sprees. In October 2005, such an attack occurred. A car filled with Palestinian terrorists dramatically slowed when it drove past a Gush Etzion hitchhiking post, which was packed with citizens waiting for rides towards southern Har Hebron. Shots were fired from the vehicle using an automatic weapon. The terrorists then drove away, leaving three Israelis dead and three wounded. When Simckes moved to Elazar 10 years ago, there were 150 families, now there are 370. Located in the center of Gush Etzion, right on the Jerusalem-Hebron highway in the Judean mountains, Elazar continues to grow. The need for affordable housing outside Jerusalem is what’s causing the settlement that lies just 10 minutes away, to grow. They are currently waiting for another 75 houses to be built. The government initially approved the construction plans, but has now halted them. Elazar did not originally start out as a communal settlement. It was originally founded in 1975 as a “moshav shitufi”, an agricultural community, and boasted 75 families. The settlement was named after one of the Maccabee brothers, killed in battle not far from there. However, Elazar did not succeed as an agricultural community and its population dwindled to 25 families. Only when it became a communal settlement did Elazar begin to flourish. A central synagogue, a well-stocked study hall, and various shiurim (weekly learning classes), comprise the religious life of Elazar. There are also a number of different schools in the Gush Etzion (commonly referred to as the Gush) area. Simckes’ 13 year-old daughter, Keshet, goes to school in Rosh Tzorim, a kibbutz in the Gush. Her school, Reishit offers small classes with special needs children integrated with the regular children. It features a flexible program that emphasizes the initiative of the children and their active role rather than the more common passive teaching style. In doing so, the school gives its students the opportunity to work together with the disabled children, and to learn experientially, at their own pace. The settlers of Elazar work primarily in Tel Aviv, Jerusalem, and within the 15 settlements in the Gush itself. Yael teaches in Jerusalem while her husband, Daniel, works in three optometry clinics, two in Jerusalem, and one in Efrat. When discussing the government’s “giving-up” Gaza, Simckes sighs with consternation as she remembers. In February 2005, the Israeli government, then headed by Prime Minister, Ariel Sharon, voted to remove all Israeli settlers and military bases from the Gaza Strip. The plan began to be implemented on August 15, 2005 and was completed on September 12, 2005. During that time, all Israeli settlements in the Gaza Strip were dismantled and the 9,000 settlers who called it their home, were evicted. (Most of them lived in the Gush Katif settlement area in the southwestern part of the Gaza Strip.) Those who refused to voluntarily vacate their homes, were literally dragged away by Israeli military forces. Yael Simckes serves as a contact on the Nefesh B’Nefesh website for the Elazar community. Nefesh B’Nefesh is an organization that aims to educate and inspire Jews around the world on the crucial importance of the land of Israel, while also seeking to revitalize Aliyah by advertising its appeal as a Jewish home. To learn more about the Nefesh B’Nefesh organization, visit www.nbn.org.